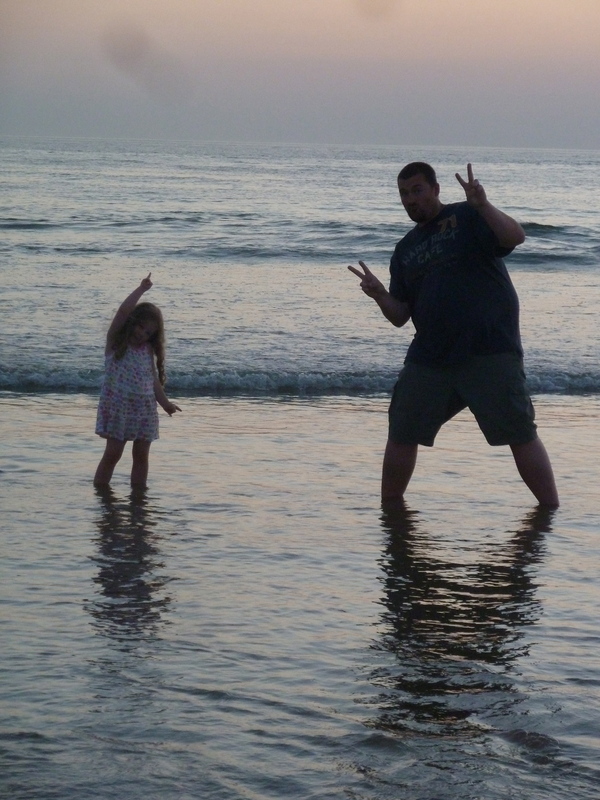 Advice to my grandchildren…Aim high! That to me sounds like good advice. It came to me when I was with my grandson in the games hall of my church. 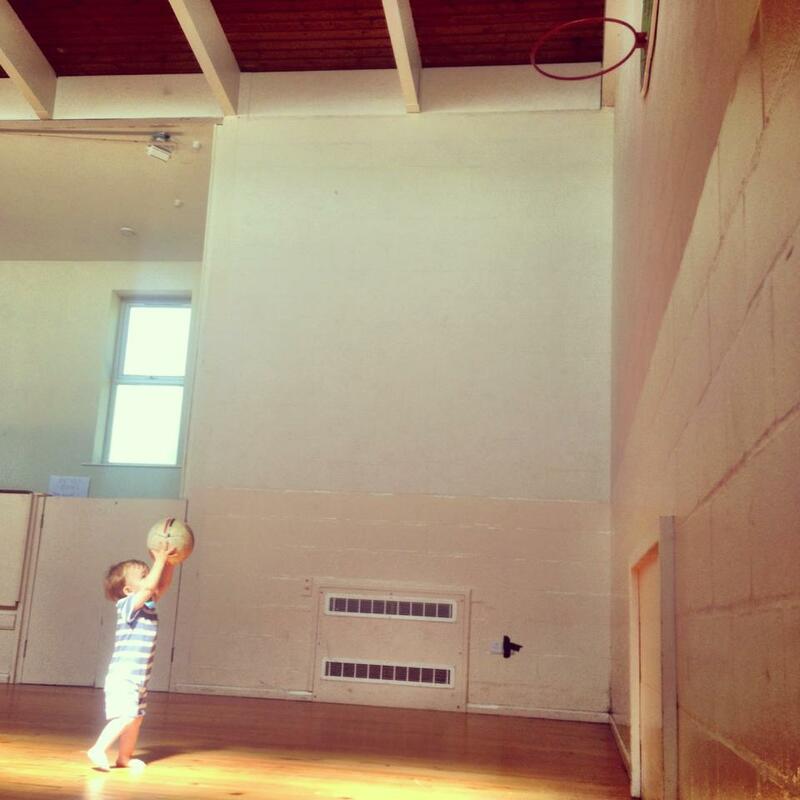 He picked up the basketball, looked up at the net and paused. I know what he was thinking. In his mind he had that ball through the ring. 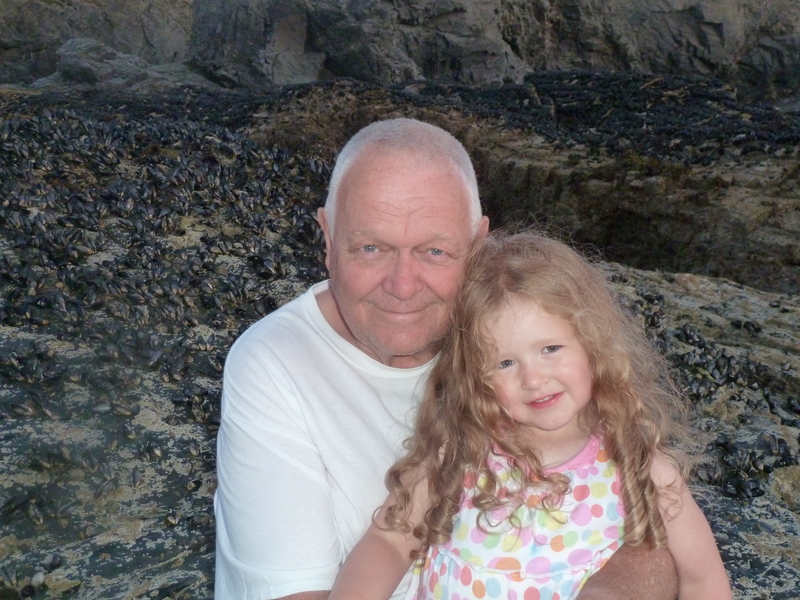 I have three grandchildren, two beautiful girls and one one beautiful boy. Like any grandparent I want the best for them. 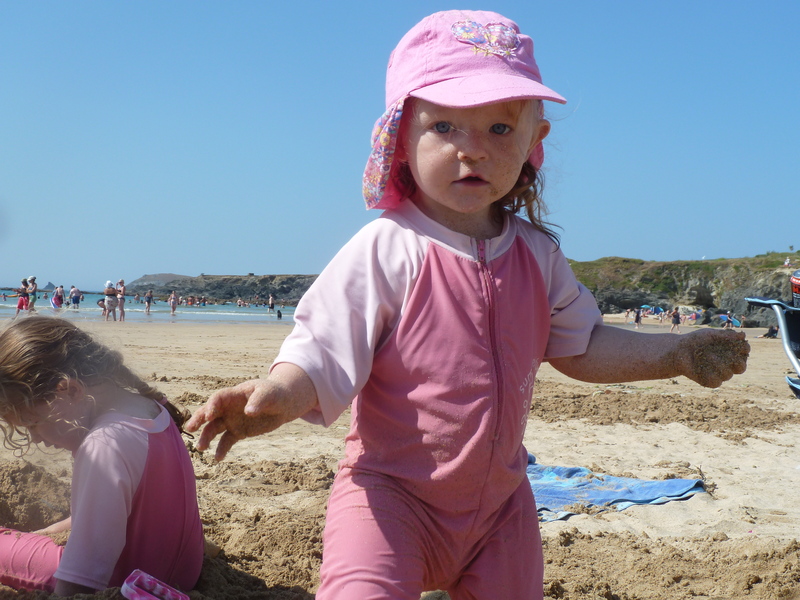 I look at my own kids and think about the mistakes we made as we were raising them, and then realise that when you have grandchildren you are… sort of… given another chance. I pray that I can use my wisdom and experience of life to guide them on their way. In life, aiming high is so important. I look back and regret the times in my life when I accepted second best or set the bar too low and achieved things without an effort. When I was a teacher, I tried always to give my pupils only the best, they deserved nothing less. I was always inspired by two saying I found on life’s journey. One was the motto of a school I drove past – ‘Excellence to all and from all’. Great advice on giving and expecting the best. My children and grandchildren are the greatest gift God will ever give to me, and their souls the heaviest responsibility He will place in my hands. What I want to do is take time be with them, teach them to aim high, to have faith in God and also be someone in whom they can have faith. Mark is my friend. He is a cousin to my wife. 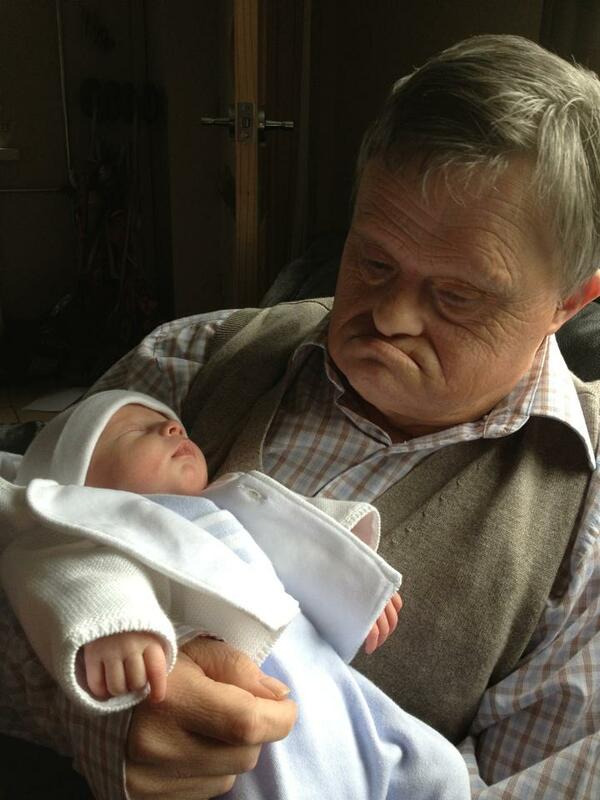 Mark was born with Down’s Syndrome over fifty years ago. He was greatly loved as a child and his parents George and Kitty did their best for him without the support that parents of children with Down’s receive today . Growing up Mark was always happy. Mark was grown up when his mum passed away and he was looked after by his dad, who did a wonderful job of caring for him..
Mark never really learnt to talk properly, but communicates through his smiles and he brings untold joy into the lives of his family and all who know him. 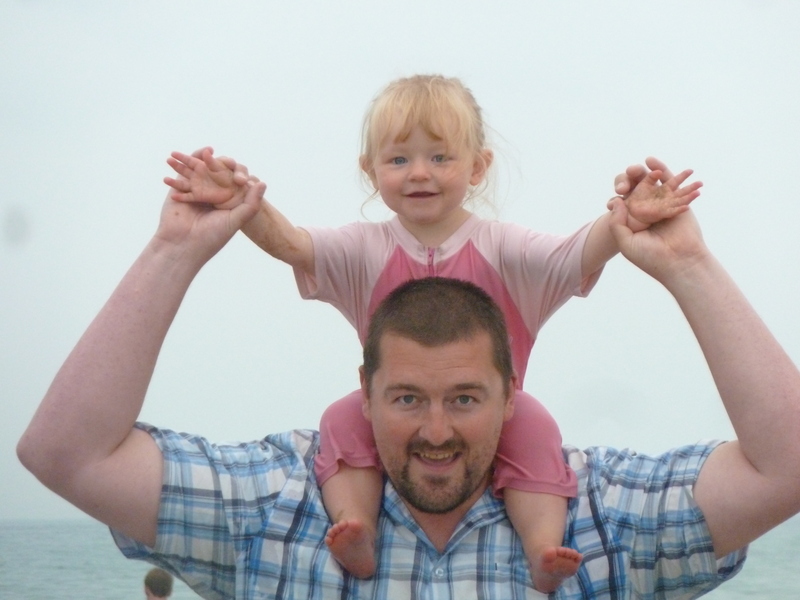 When Mark’s dad died, his sister Angela and her husband Kevin became his carers and they continue to give Mark a lovely life. Words can never tell of the kindness shown by these two truly wonderful people. I sometimes look at Mark and think of the ways we are alike and not alike. He doesn’t have the same worries and concerns in life as I have, he is not burdened with the same social responsibilities and expectations as I am, but he does know the value of a warm and loving family, he does know, again like me, the joy of being loved and cared for. Mark has recently become a great uncle to little Billy. I hope as Billy grows up he gets to know and love Mark as we do – a loving, happy and kind friend and like Mark we hope and pray Billy is able to bring joy and happiness into the lives of others. Those were the thoughts that constantly went around in my mind during the long, dark days of the winter just gone, the coldest winter on record. I gazed longingly at brochures and web sites wondering how I could arrange it. Really I am not a fan of beach holidays and the thought of being stuck on a sandy beach for hours at a stretch, does nothing for me. However I do like the sensation of swimming in the sea, something I rarely do. This was my aim for 2013. I imagined it would mean a flight to somewhere warm to achieve this, but the prices in the holiday were a bit too steep. 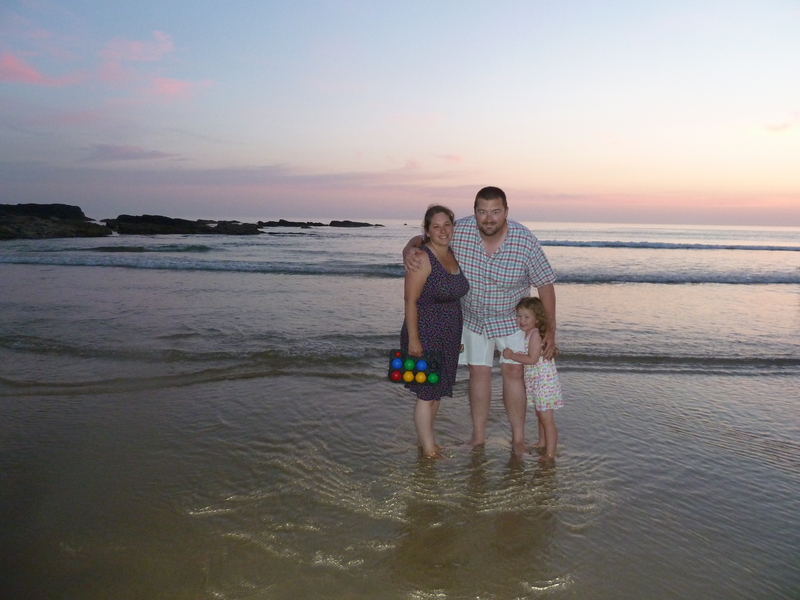 Our youngest daughter had just announced her intention to marry her childhood sweetheart, so savings had to be made and thoughts of a holiday in the sun were put on the back burner. Until that is, the day Gaz rang me and asked if I would like a week in a caravan in Cornwall. 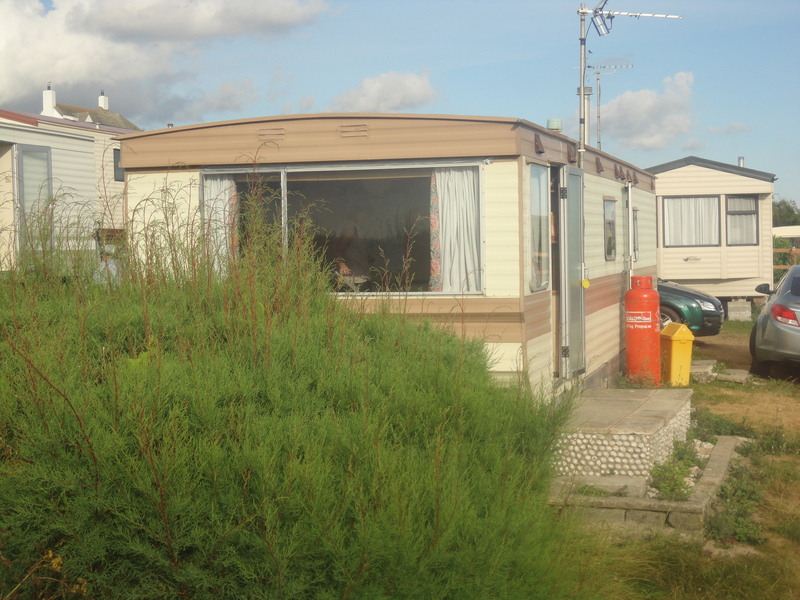 I immediately had flashbacks of my last caravan holiday – in Scotland – a number of years ago. We arrived in the rain and were enchanted by the sound of the rain pattering on the caravan roof. On the second day we enjoyed the sound of the rain on the caravan roof. Day three of the rain of the caravan roof became a bit annoying. By day four of the rain pattering on the caravan roof, saw my face take on similarities to Jack Nicholson’s in The Shining. By day five I became a candidate for a part in One Flew Over The Cuckoos Nest. We left Scotland soon after! 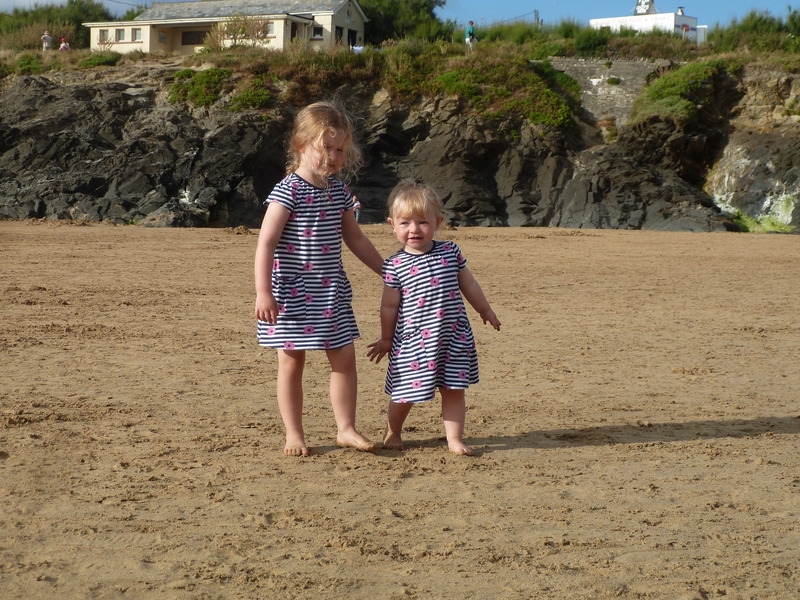 Cornwall sounded slightly more promising but two reasons prompted the lady of the house and I to say YES straight away – the opportunity of spending a week with the Princess Mia and Angel Millie our two incredibly wonderful granddaughters. 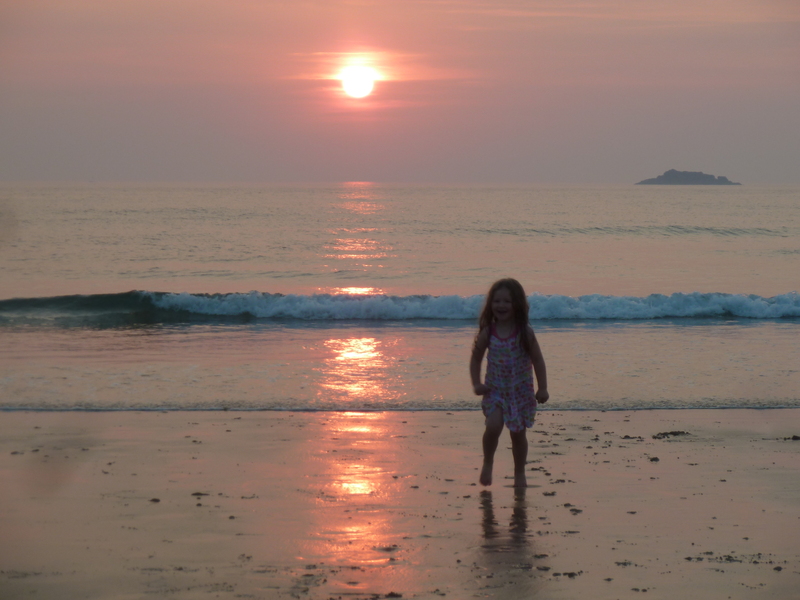 Treyarnon Bay is a lovely beach and is popular for surfing but is most renowned and enjoyed as a family beach. The beach has a large expanse of sand with a huge area of rocks and pools on one side, and Trethias Island to be explored on the other. 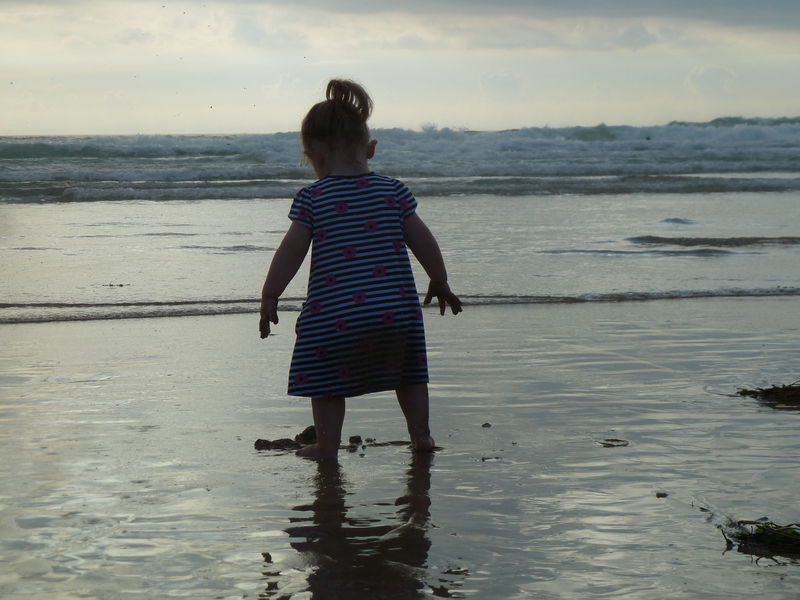 Everyone has their favourite part of the beach. On Treyarnon, you can always find shelter from the wind or sun with hundreds of small caves and gullies. This beautiful bay has small pools for shrimp fishing at all tides with rocks to explore and the well-known natural swimming pool in the rocks on the north side of the beach. The swimming pool – featured by Kate Rew in her book Wild Swim, in which she discovers the best places in Britain to swim in wild places – is cold and exhilarating with a wealth of interesting flora and living things to discover, nearly as good as going snorkeling in the warmer seas abroad. 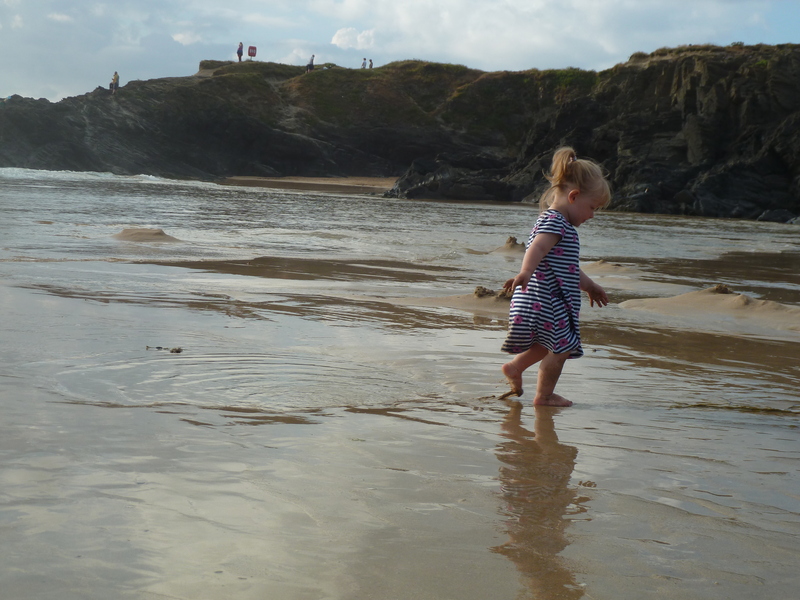 The rocks and pools stretch around this side of the beach providing hours of fun particularly at low tide. 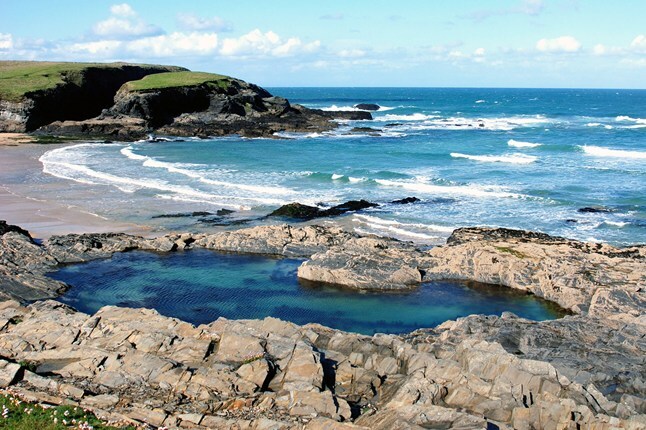 To the south of Treyarnon, pools run down the side of the beach – perfect for learning to swim and games. At the shoreline is Trethias Island separated from the mainland by a gulley, where the sea rushes in and out according to the height of the tide – its great to explore but can be dangerous at various states of the tide, so please be careful. This island has been given to the nation as a bird sanctuary. Should you visit there be careful not to be cut off by the rising tide. 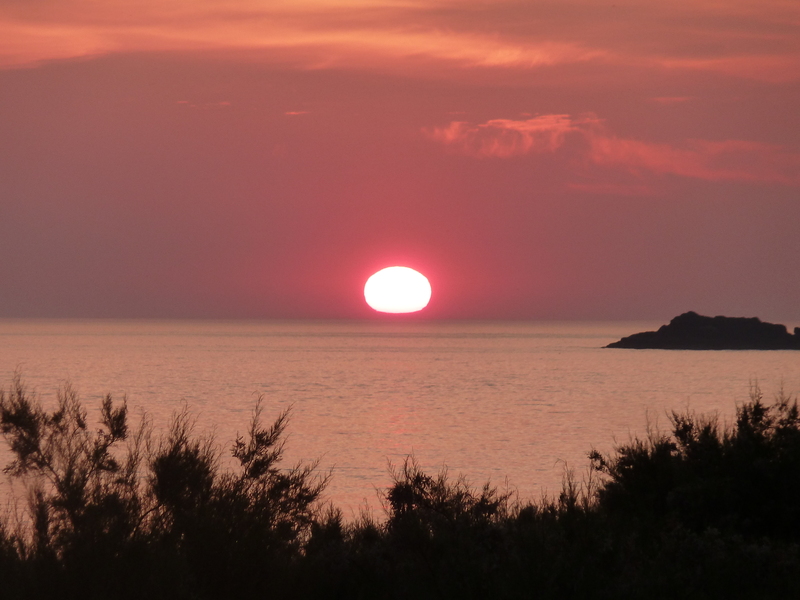 Treyarnon can be accessed from both sides – but Trethias side (south) is only really used by walkers and those lucky enough to be staying here. Here a small path runs down to the beach from around 15 houses but there is no public parking or facilities. 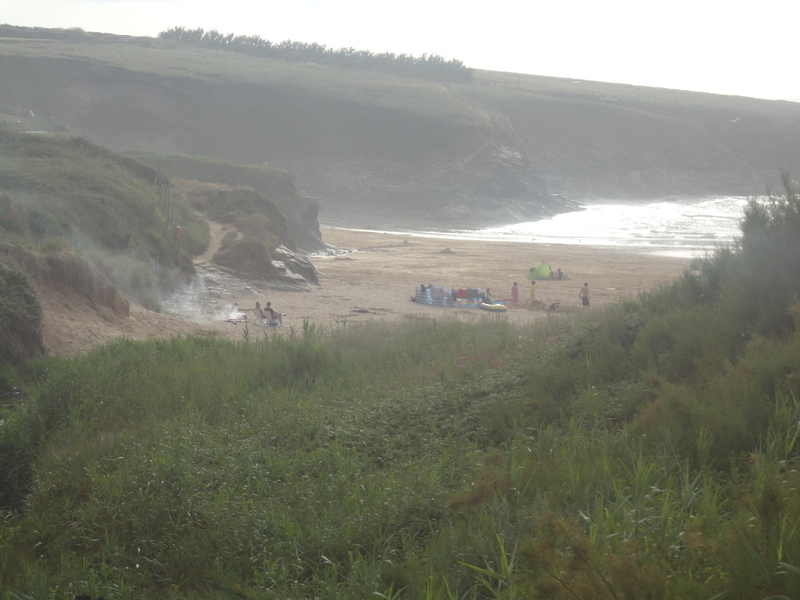 On the north side, there is a beach car park and access down a causeway to the beach. Or there are plenty of routes down the low cliff over the rocks. 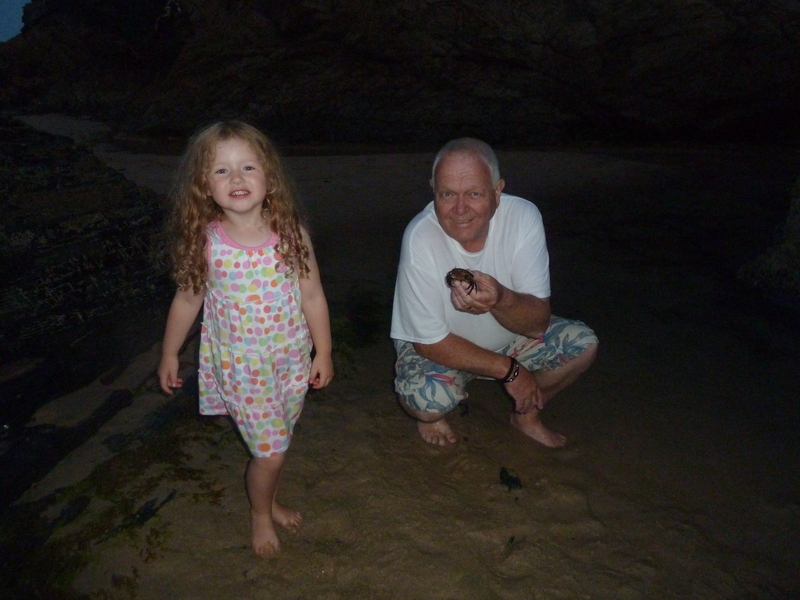 In the car park over the summer is Gary’s shop – almost a ‘tardis’ supplying most of what you may want. It’s particularly good for morning paper, bread or croissant and milk – but really is always worth checking for anything you may be after! On the short causeway down to the beach, there is often an ice cream van – in the same place – and enjoyed – for many years. 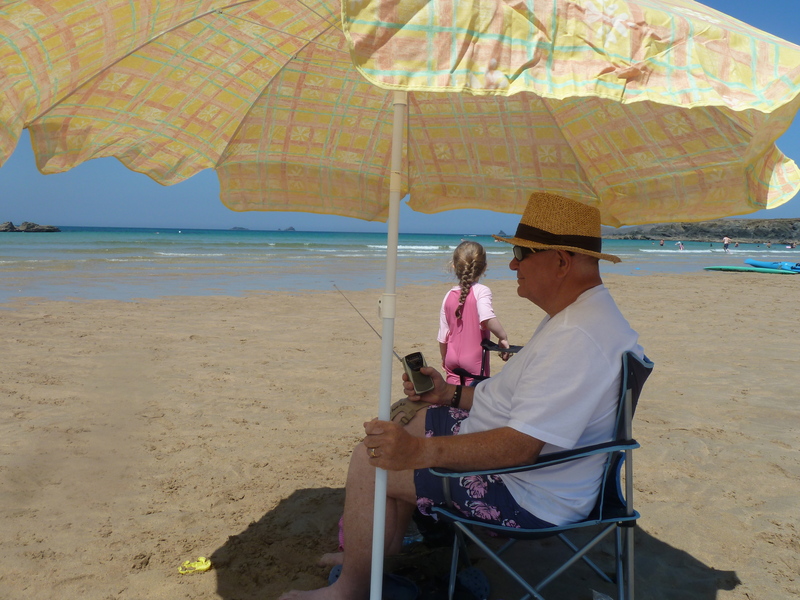 For more extensive shopping, you can walk through the campsite up to Constantine Bay Stores at the Des’ surf shop next door in about 10 minutes. Here you can buy a range of quality foods and provisions as well as renting or buying any surf equipment you want. 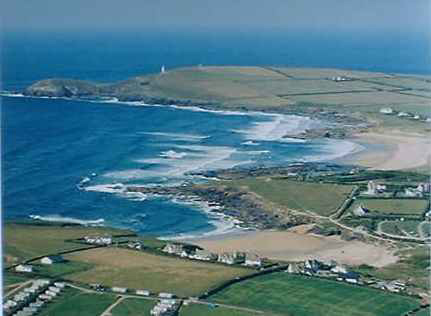 Surfing can be good at Treyarnon – receiving plenty of waves, but with a little more protection than Constantine alongside. 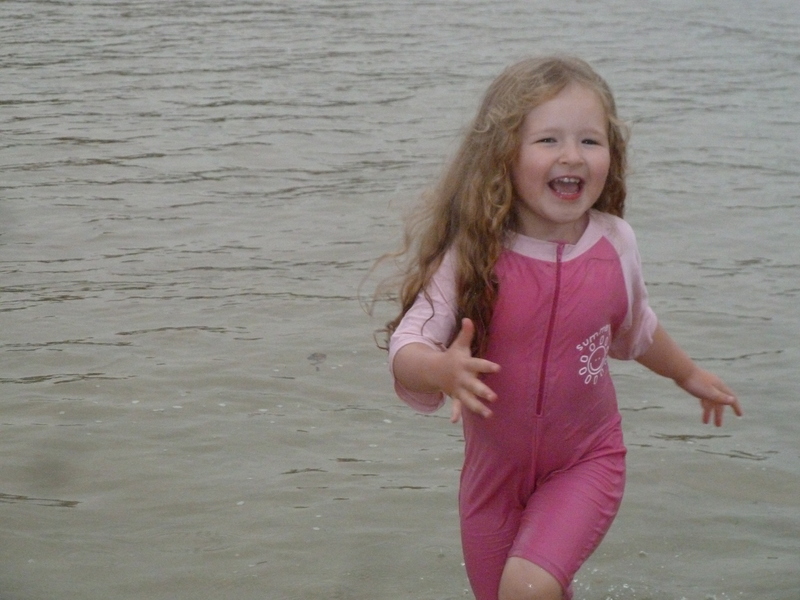 It is best at mid to high tide and the sea is usually full with children and adults of all ages. There are lifeguards on duty through the summer months. It did it for me. I looked forward to the things our friends spoke of, especially Malcolm’s, the local baker, who has achieved legendary status with The Lewis Family and friends. I calculated that if we had Scotland style rain, I had a range of places to visit including nearby Padstow, Bodmin and Wadebridge. The forecast was good though, and we were mid way through the hottest heat wave since the 1970s. We were getting excited. On departure day the lady of the house was working, so we had to travel down later and Gaz and Keri and the girlies went down ahead of us to get everything ready for our arrival. We had an uneventful trip and the last couple of miles, which took us through lanes where the grass and hedges scrapped against my car on both sides, were a bit scary, but suddenly out of the darkness we saw Gaz’s car, he had come from the campsite to guide us through the last leg of the journey. Gaz and Keri had warned us that the caravan we were staying in was a top of the range van – in 1964 – so not to expect too much. They were teasing though and when we arrived we found it to be comfortable and welcoming with plenty of room. It even had a bathroom! Growing up in the 50s and 60s, we always went in caravans and that always meant a walk across the field in the morning with your toilet bag and towel to the shower block. This was luxury for us…a double bed room and bathroom. The girls were sleeping peacefully and after a cup of tea with Keri, we turned in to get some well needed sleep. 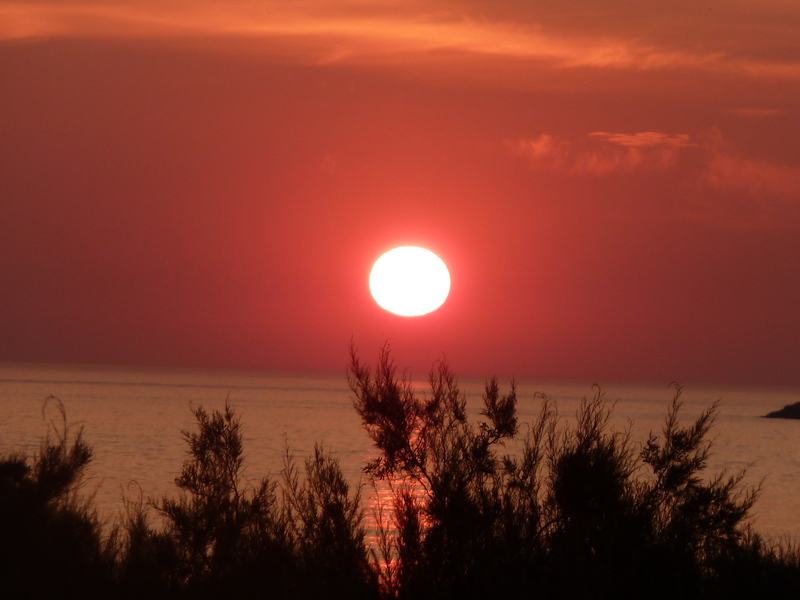 When we awoke the next morning, we thought we were in heaven! The sun was shining gloriously and there were two happy, smiling faces looking at us from the end of our bed! that it would be shorts and T-shirts and no socks for a week, really excited us. 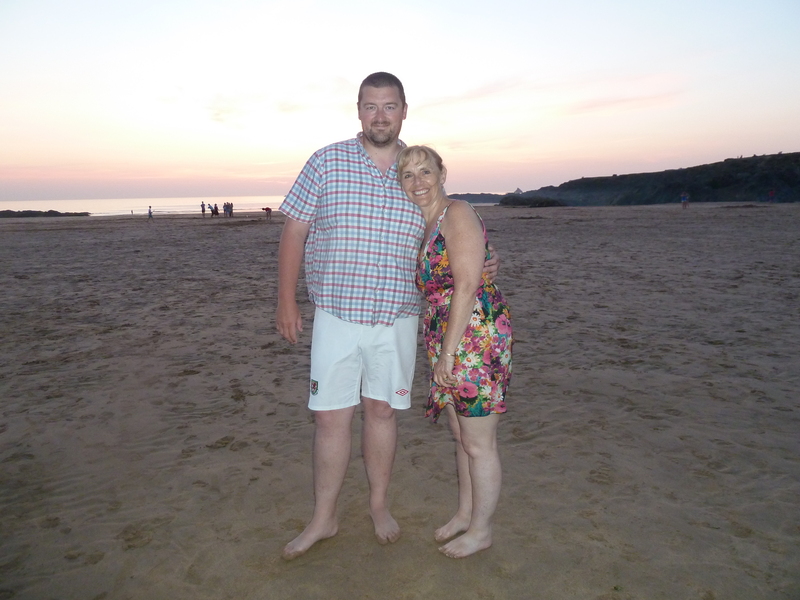 We spent the first couple of days chilling out on the beach and enjoying each other’s company. Mr. Google was right the beach was idyllic and our caravan was just about the closest one in the whole of The Bay to the beach. Each day began with a stroll across the field to Gary’s shop for the morning papers and then a stroll back to read them over a leisurely breakfast. Princess Mia and Angel Millie were fantastic, with us and with each other. Mia had not appeared to have packed any of her royal dresses and seemed as please as us to be in shorts and swimming costumes all day long. 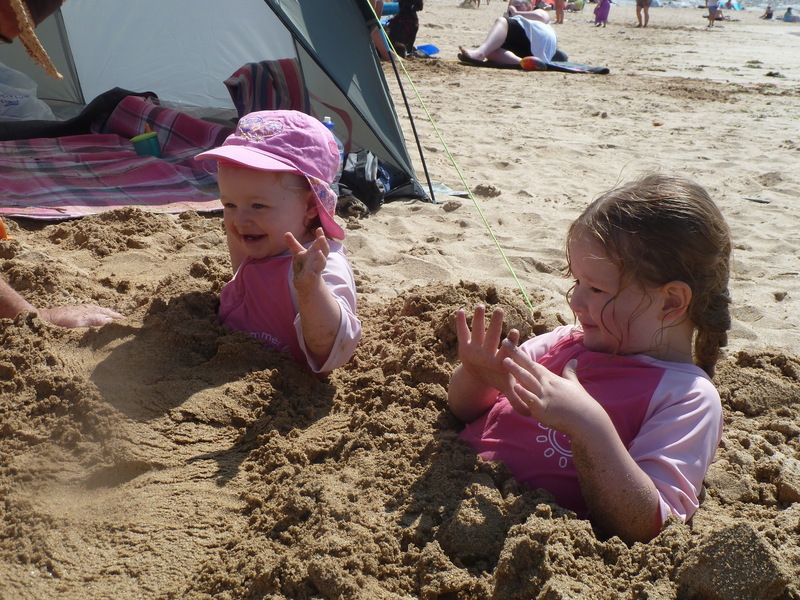 One of the first jobs was to bury them in the sand. This was accompanied by many giggles and laughter. At times when the girls played together, I was able to listen to Test Match Special on my little wireless. There is nothing better on a warm, summer day in Britain than to listen to TMS, as it is affectionately known. I grew up listening to John Arlotte, Brian Johnston and these days Henry Blofeld. These men are true legends. You may think ball-by-ball commentary of a cricket match might be slightly boring, but I challenge you to listen for 10 minutes and you will be hooked. These days my favourite commentator is Henry Blofeld. He has been a regular commentator for TMS since 1991. Blofeld’s cricket commentary is characterised by his plummy voice and his idiosyncratic mention of superfluous details regarding the scene, including things like construction cranes or numbers of pink shirts in the crowd; as well as pigeons, buses, aeroplanes and helicopters that happen to be passing by. After the tea and lunch breaks he is also known to talk for extended periods of time about the food on offer, in particular cakes, with occasional interruptions to describe the situation on the field. He also uses the phrase “my dear old thing”. 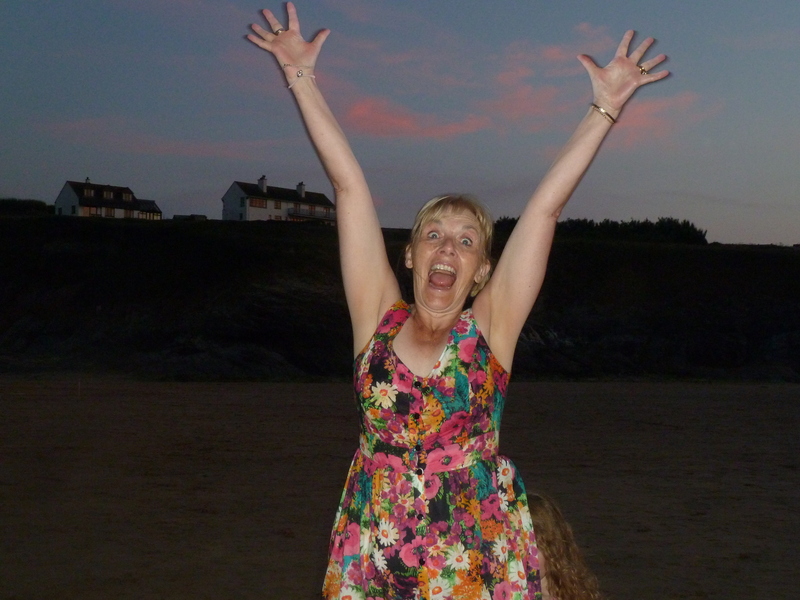 In due course, I ventured into the waves and realised this year’s holiday aim of swimming in the sea. It was glorious and Keri and the lady of the house joined me for a very special time. 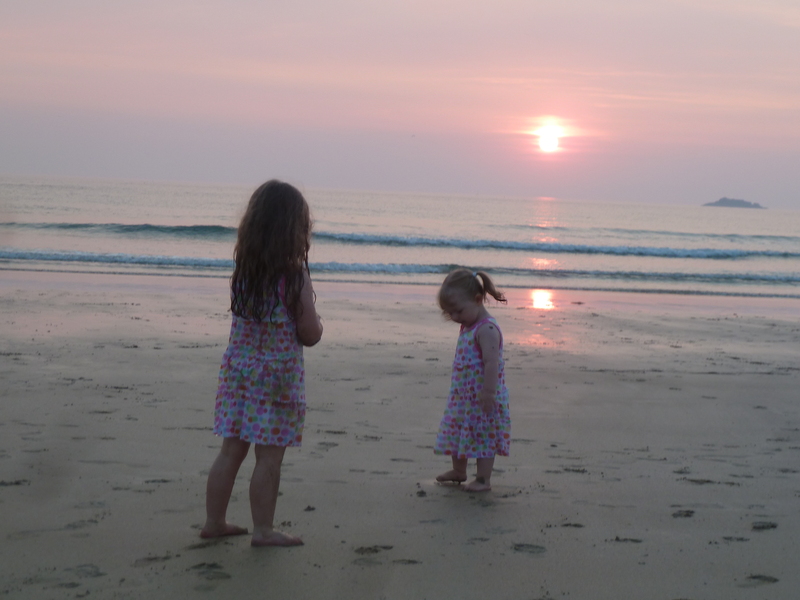 In the evenings we would stroll down to the beach, the sun was setting across the water and we told the girls if they listened carefully they could hear the sizzle as the sun hit the water. I’m not sure they believed me. The lady of the house played boules with Gaz and the girls and her competitive streak came to the fore and the celebrations when she won put the overpaid, over rated premier league footballers to shame. Her joy knew no bounds. Gaz gritted his teeth and looked forward to the card games when revenge would be sweet. 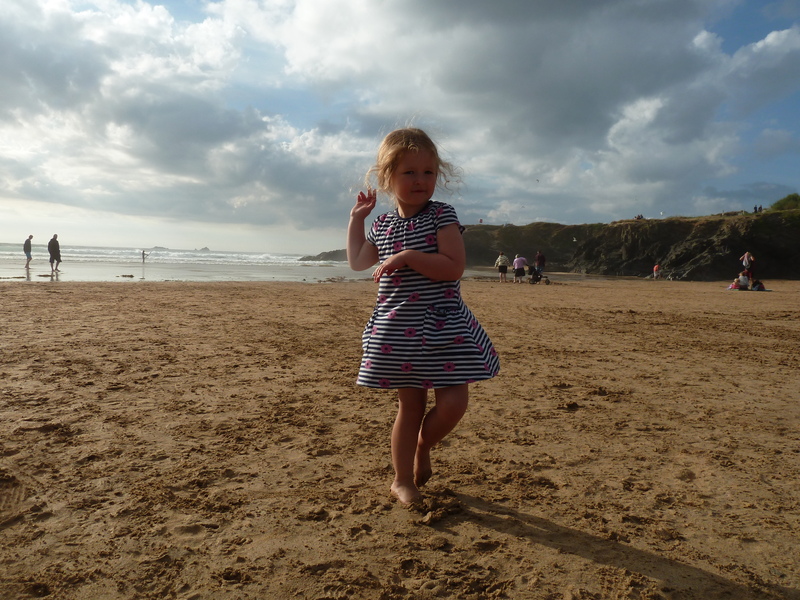 We spent some beautiful days there at Treyarnon Bay. It was idyllic, especially after the weather broke slightly on Monday. Up until then it had been almost overpowering. After a couple of thunderstorms, the weather became just the perfect British Summer weather with cotton wool ball clouds and gloriously warm sun. I felt sorry for those who had spent a lot of money going overseas in search of nice weather. 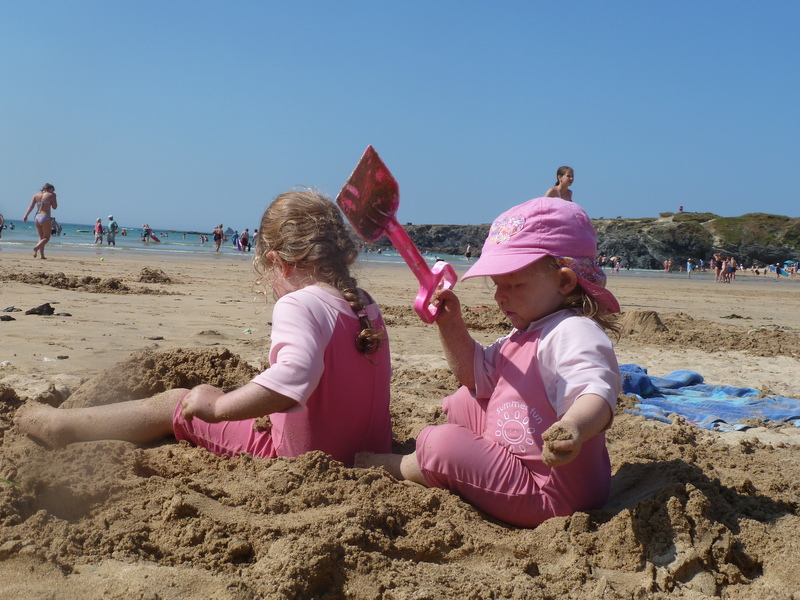 This august Treyarnon Bay achieved perfection. On Sunday Gaz and I went off in search of a church to attend, but despite a tour of the whole of Padstow, we ended up in a café overlooking the harbour and enjoyed a full English and talked about how blessed we are with the family we share. Padstow is a town and fishing port on the north coast of Cornwall. 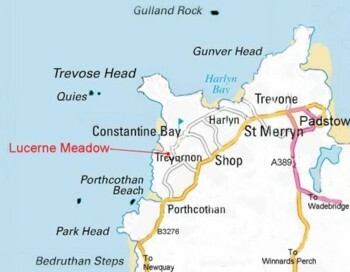 The town is situated on the west bank of the River Camel estuary approximately 5 miles northwest of Wadebridge. 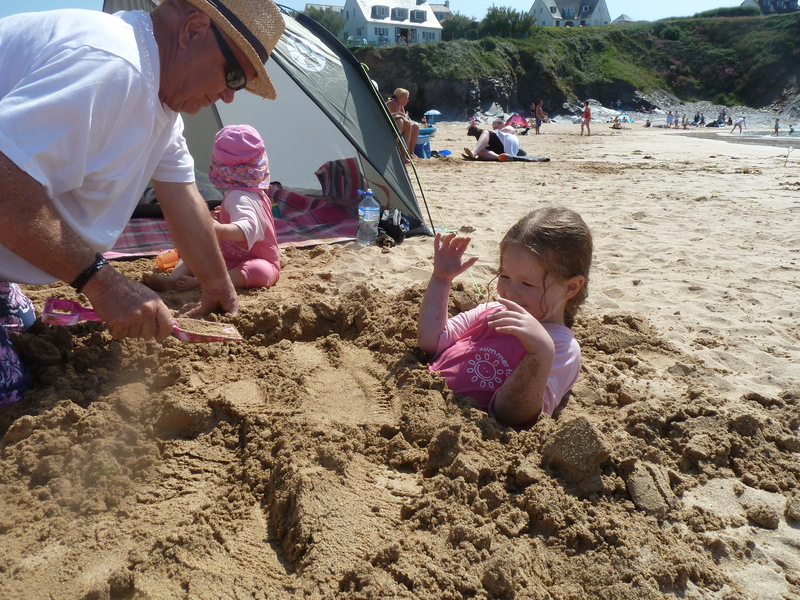 The population of Padstow civil parish is around 3000. It is famous because Rick Stein a restaurateur, food expert and celebrity chef lives here and owns several businesses in the town. It’s a truly lovely place to visit on a warm summer day! Mia and Millie were treasures all week – they are so good! Mia is growing up and becoming more independent, wanting to do more and more for herself and make more of her own decisions. Millie is just an angel in every sense of the word – quiet, gentle and with a smile that would melt the hardest of hearts. She is also so inquisitive and will open every cupboard, bag and case and she seeks to explore the world around her. I thought of Alfie, adventuring with his parents in Canada and America and thanked God as I do every single day for such precious gifts of grandchildren and our three are precious to us beyond words. It has been said that there in no greater joy in life than to love and be loved. I pray that our children and grandchildren know and experience that. It’s wonderful as a grandparent to take a back seat and watch Mia and Millie with their parents. 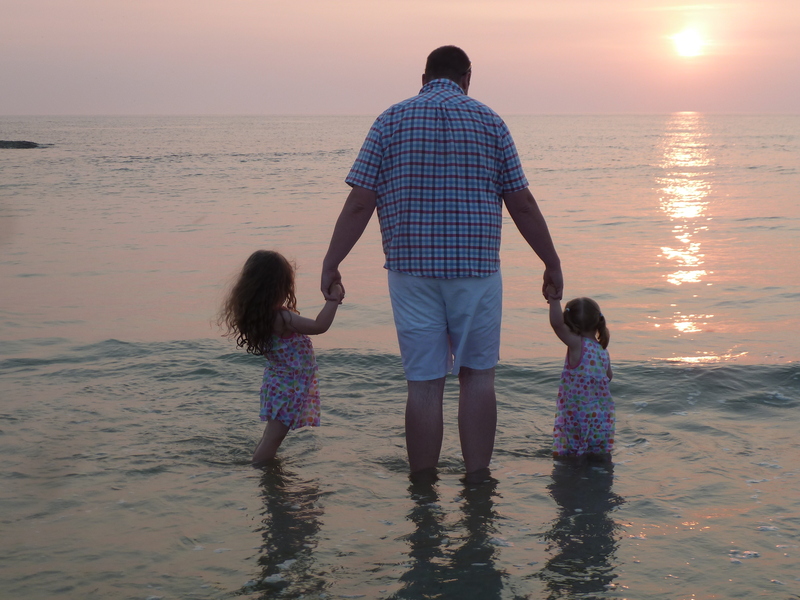 It made us think of the special times we had when our three were little. 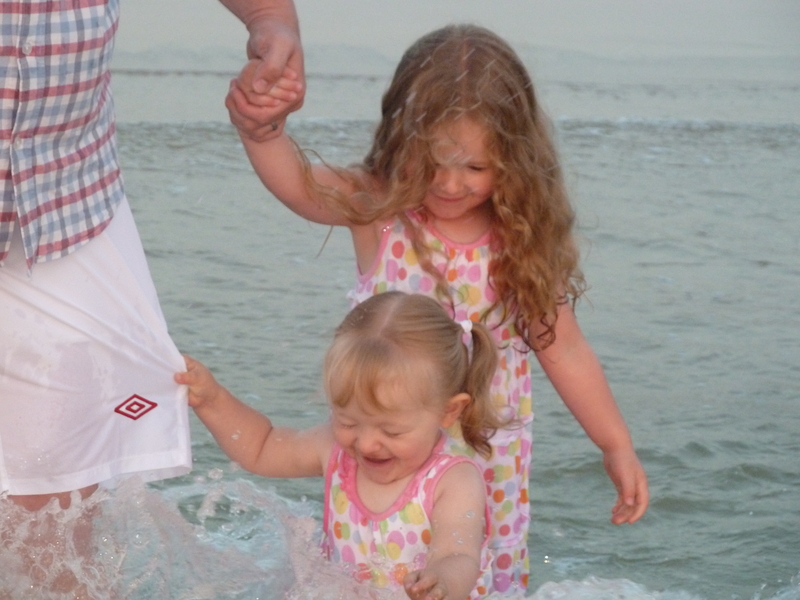 One thing we could see clearly is that Gaz and Keri are truly wonderful parents to these two little girls. 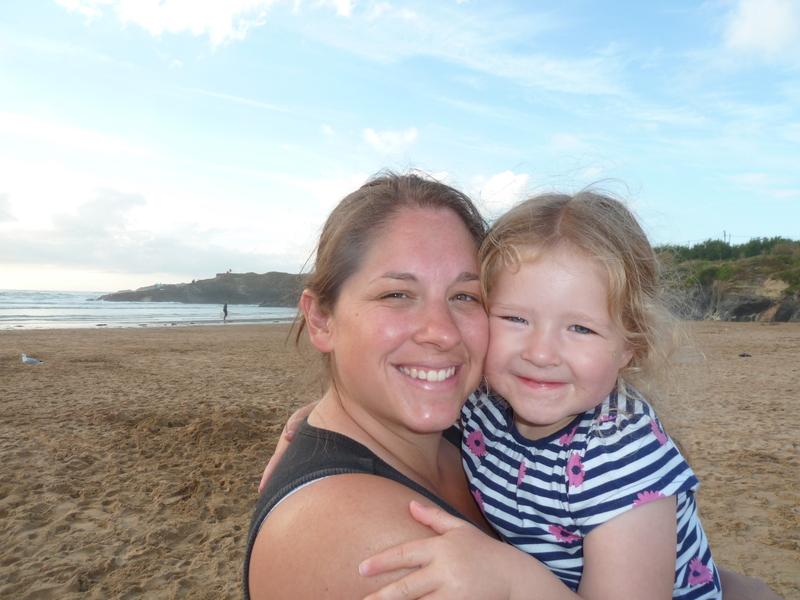 Keri is a fantastic mum, so thoughtful and caring, providing for their every need with a smile and a cheery word. Every thing she does is filled with the warmth of a mother’s love. 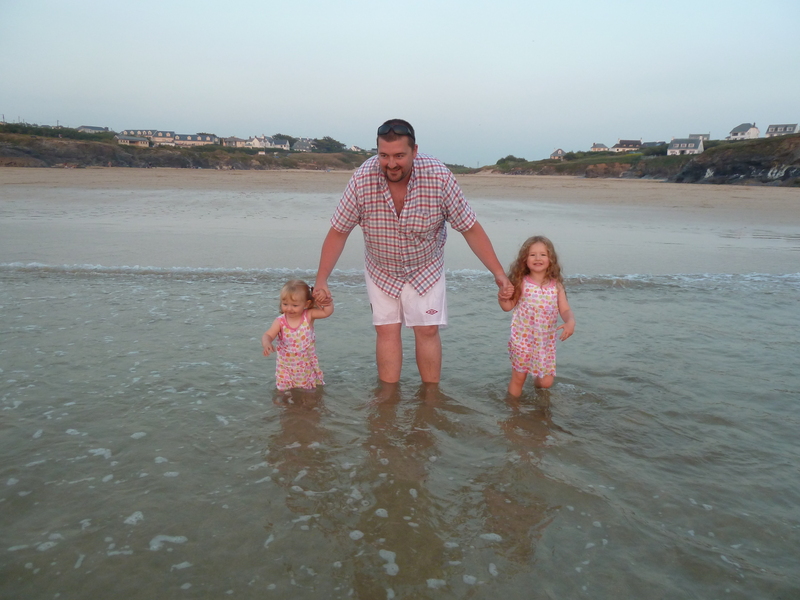 Gaz, too, is fantastic with the girls and spent hours talking to them, encouraging them, playing in rock pools, building sand castles and enjoying long walks along the beach in the beautiful Cornwall sunsets. During the evenings we would often sit outside the caravan and Gaz would play his guitar. I so regret not being able to play a musical instrument. 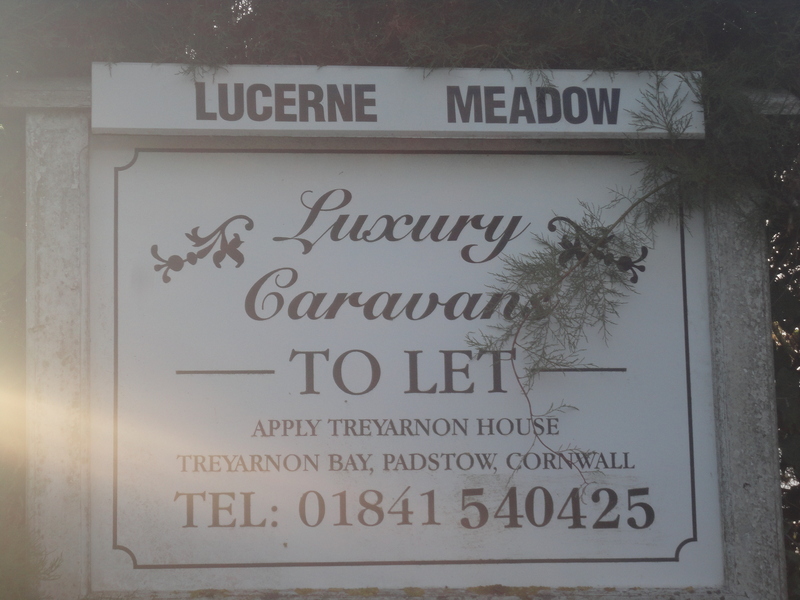 There was a guitar in a flea market in St Merryn, our nearest village, but Gaz advised me against buying it…. One day I’ll get one and treat myself to some lessons. 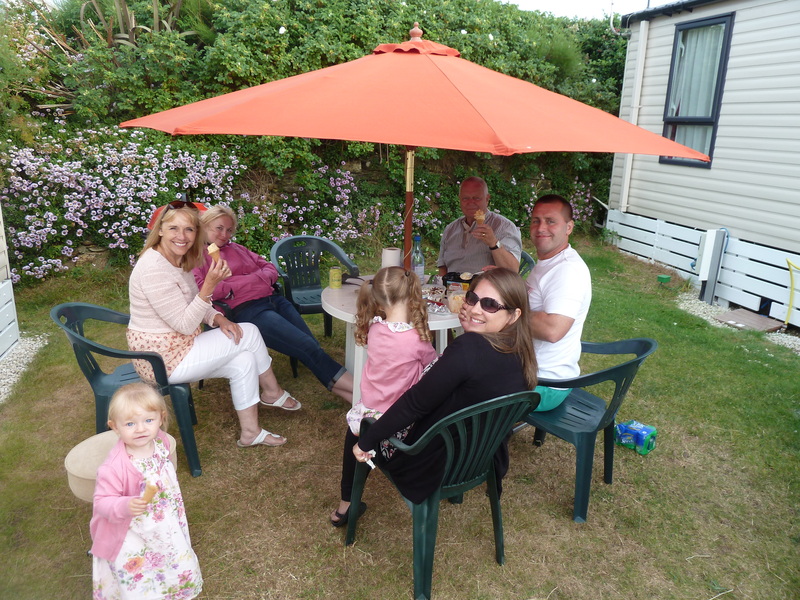 We spent two wonderful evenings with friends Dave and Joanna Brown who were staying at Mother Ivey’s Bay caravan Park just a short distance from us. They have two fantastic kids Jola and Luke. We had such a lovely time with them and have agreed to meet again once they are home. On the way we passed a sign to Booby’s Bay. Gaz and I were keen to check this out but the lady of the house put her foot down in no uncertain terms. Have you seen the lady of the house put her foot down… Gaz has! 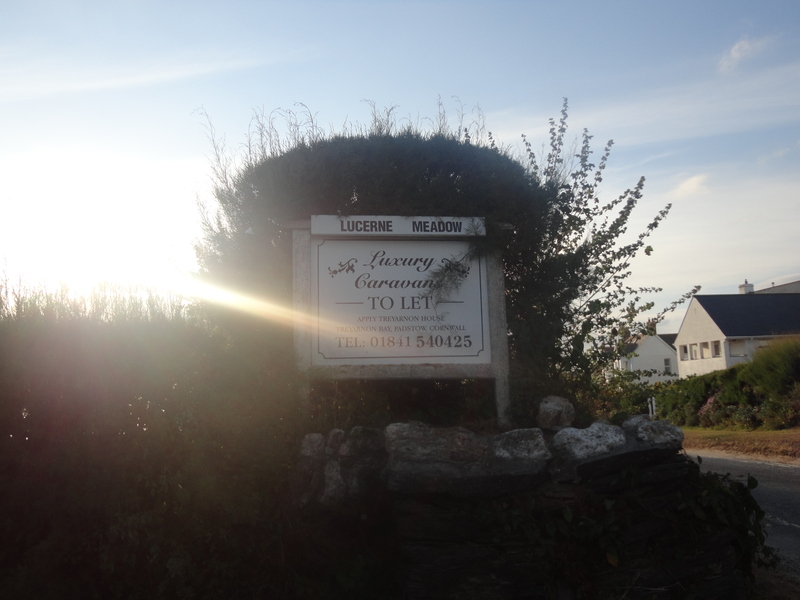 We made many visits to St Merryn the nearest village to us, mainly to visit Malcolm Barnecutt the local baker. 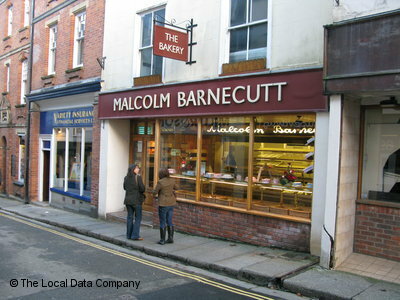 The Barnecutt family has a distinguished history as quality bakers, dating back nearly 80 years to their first bakery in Liskeard, opened by Malcolm’s grandfather, Percy, in 1930.Today, they have many shops throughout Cornwall offering the finest Cornish Pasties, Saffron Cakes, a wide range of mouth-watering confectionery, and several recipes handed down by Malcolm’s father and grandfather. As well as the bakeries, they have two restaurants. The first opened in 1983 at the Old Guild Hall in Bodmin, and can seat up to 100 people. The shop in St Austell’s Fore Street houses the second Café Barny’s – the ideal place to relax and enjoy one of their famous Cornish pasties, or a nice large slice of Saffron cake! They have also just opened a deli in the bakery in St. Merryn for Cornish meats and cheeses, as well as the usual mouth watering Danish pastries and various savouries. Keri and the lady of the house fell in love with the Chelsea buns and these and Malcolm’s wonderful doughnuts were bought almost every day! 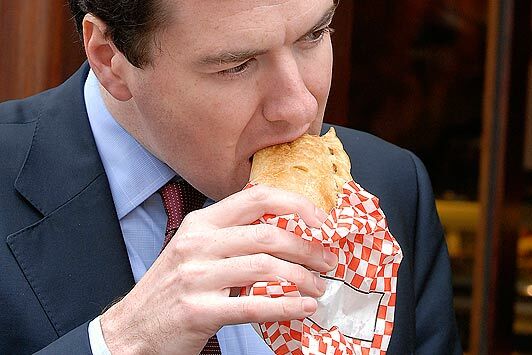 It appears George Osborne is a Malcolm Barnecutt fan too! 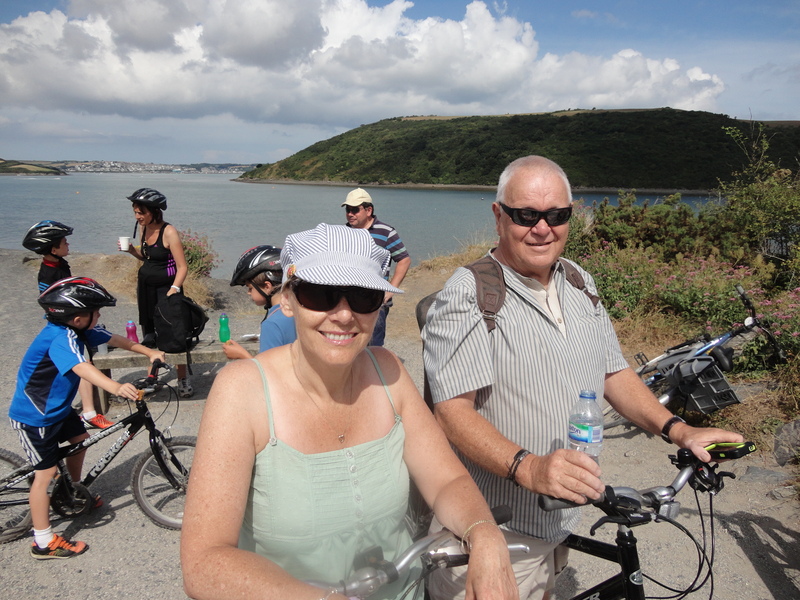 On the last day we decided to go cycling along the Camel trail from Padstow to Wadebridge. 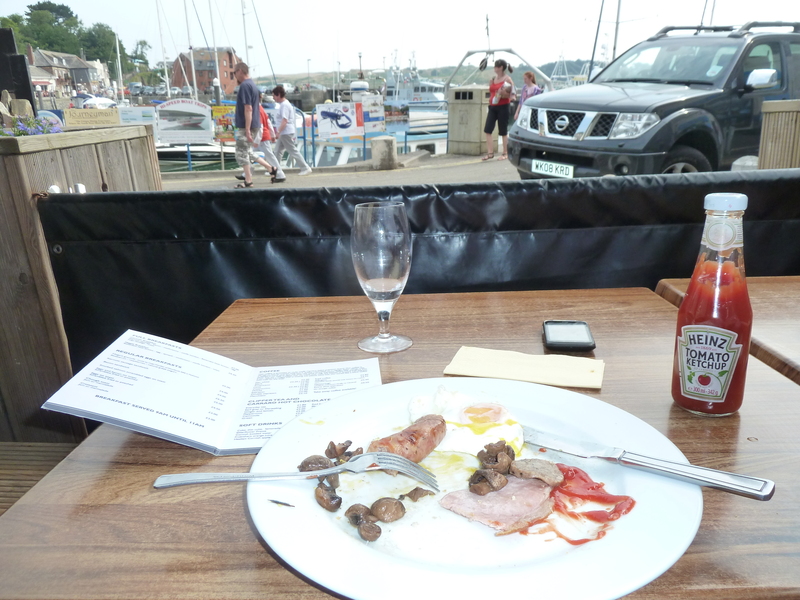 We got up early and made our way in and parked near the harbour. 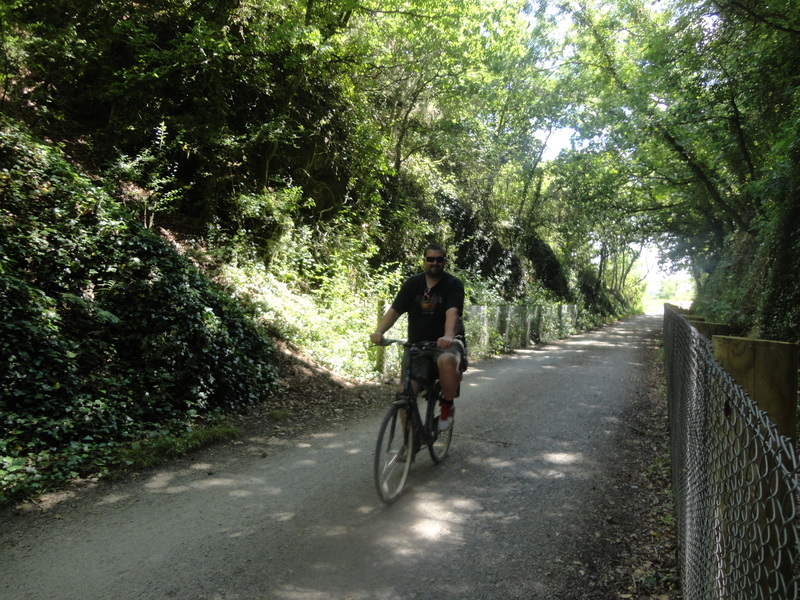 The Camel Trail provides access to the beautiful Cornish countryside along a disused railway line between Wenfordbridge, Bodmin, Wadebridge and Padstow. 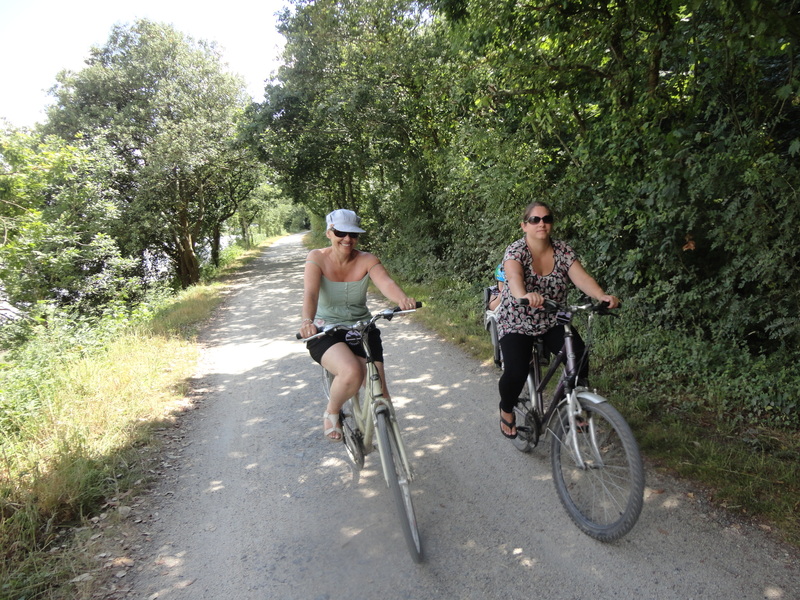 The Camel Trail is an 18-mile largely traffic free, surfaced and virtually level multi use trail, which passes through some of the most spectacular countryside in the southwest. Following the disused railway line once used by the London and South West Railway, cyclists hug the Camel Estuary from Padstow to Wadebridge before joining the route through the deeply incised and beautifully wooded Camel Valley to Bodmin. At Bodmin yet another line, one of the most historic in the country, winds its way inland to the foot of Bodmin Moor where it comes to an end near Blisland, an extraordinarily pretty moorland village. Landscape and wildlife designations abound, contrasts in scenery are striking and access to country and seaside towns provide opportunities to use local shops, pubs and visit attractions. 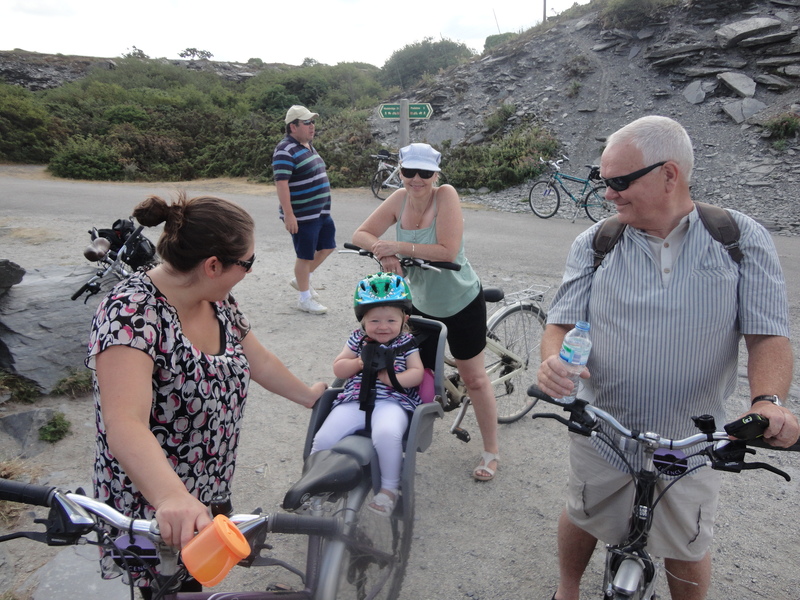 The trail provides access in to the heart of North Cornwall, experienced cyclists can make off, away from the trail exploring the many villages and country lanes, which lie close to the trail. 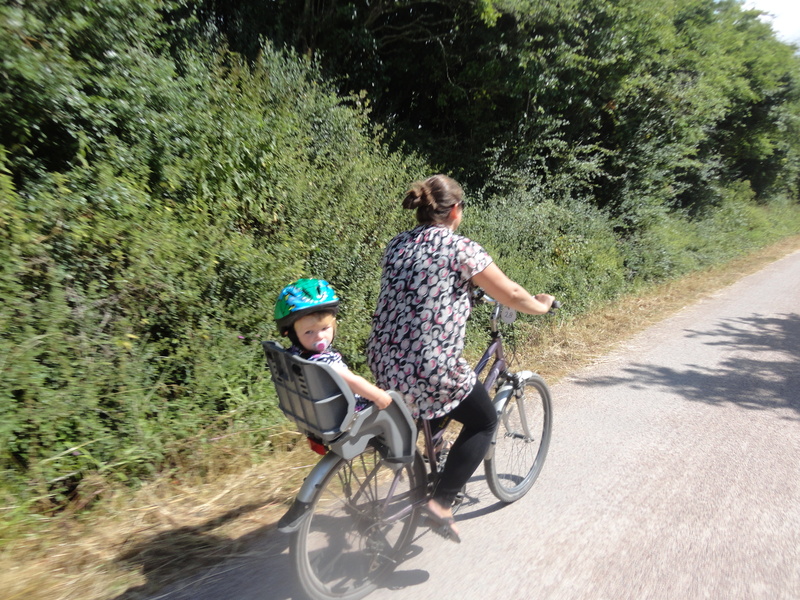 We hired our bikes and set of Mia and Millie in specially designed seats. It was great fun. Perfect weather and perfect company. 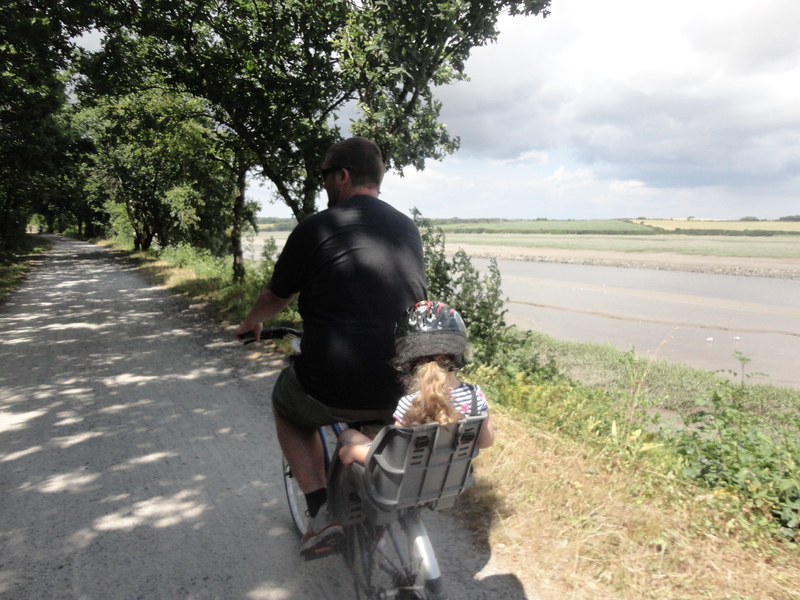 The level trail made pedalling quite easy although it soon became aware that I had to protect my undercarriage. I was not used to a hard saddle. And before long I was adjusting my position from cheek to cheek at regular intervals. I was grateful to reach Wadebridge without too much damage, but began to look surreptitiously in shops as we wandered around to see if I could find some Lycra shorts with built in undercarriage protection. The cycle home would be a challenge. We enjoyed looking round a few shops before finding anther Malcolm’s where we had a snack for lunch and my first Cornish pasty of the week. Delicious indeed. 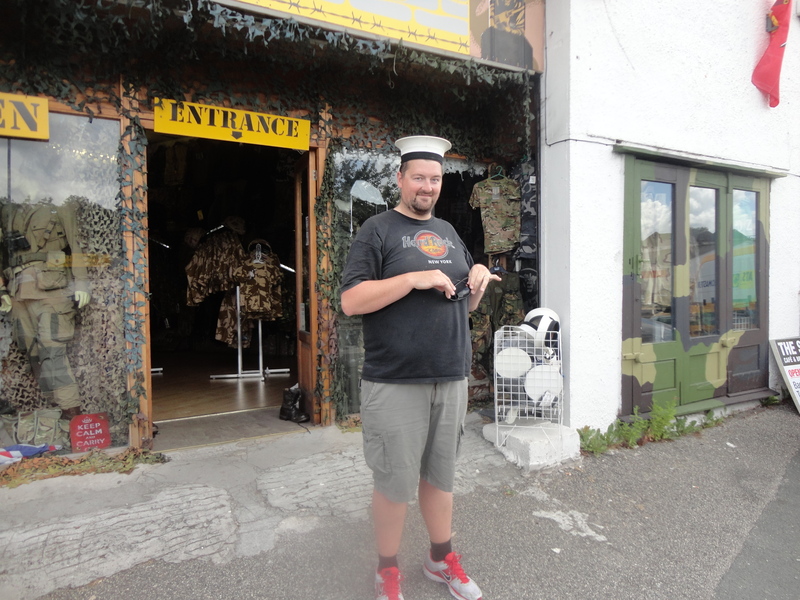 Whilst in Wadebridge we came across a wonderful Army and Navy Stores. 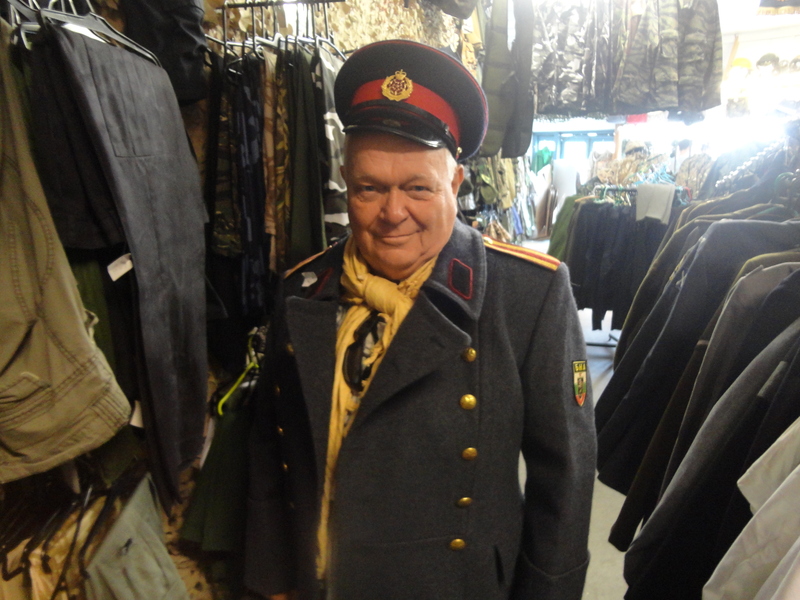 I bought a jacket ready for next years 70th Anniversary of D.Day and also Gaz and I took the opportunity to try on some other nice looking gear! I need not have feared the journey back was fine and although I had to walk back to the car with my legs slightly apart, I suffered no permanent damage as far as I can tell. I envied Mia and Millie in their seats and think maybe next time I will try and find an adult version so the lady of the house can transport me to avoid any further chaffing of my nether regions. 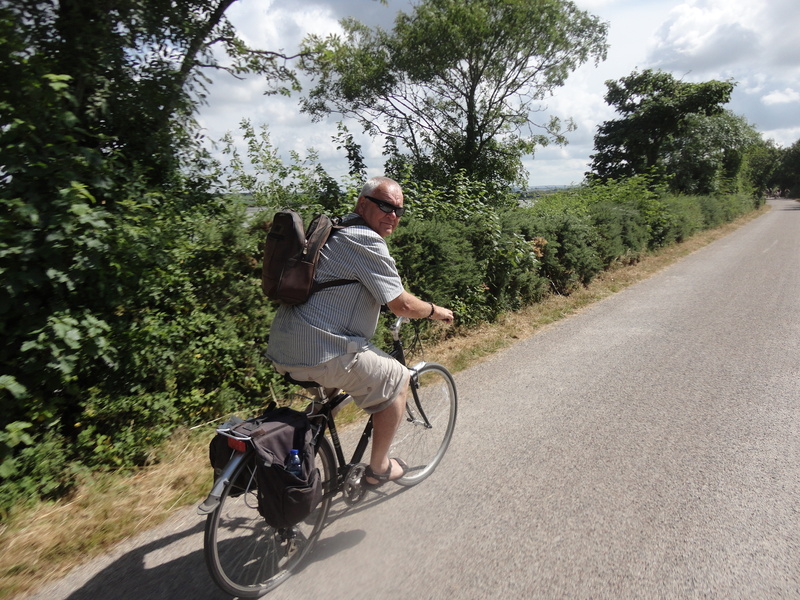 As I handed the cycle back I promised myself I would come back – with a cushion and cycle all the way to Bodmin and explore more of the old line and the disused stations along that stretch of the trail and maybe even take in a steam train ride in Bodmin. We left with many great memories of a wonderful week. 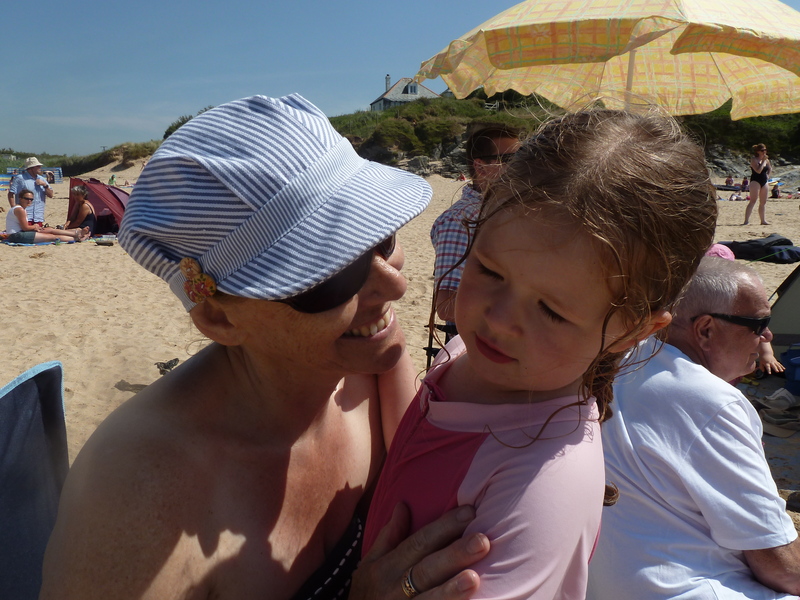 I had swum in the sea, walked barefoot along the beach at sunset with my precious granddaughters, built sandcastles, cycled along an old railway line, been well fed, but above all spent time with people who are so very precious to me. 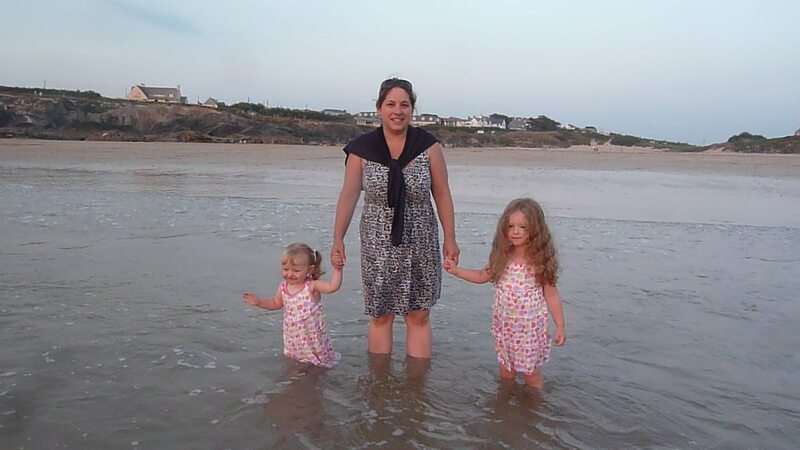 I thank God for the wonderful gift of my family, spread out at the moment, here in Cornwall, back home in Wales and touring America, but bound together with bonds of love.